Some of my Shopping Recommendations here for you. Read on, because some of them can be advantageous to you. First: someone asked me for a good framer in the Toronto region. I forget who it was who asked, but here you go: Don Corby, of Corby Framing in Freelton (www.corbyframing.ca, 905-689-1976). Tell him I sent you. He does a great job with custom frames and affordably. Please print and frame your photos. Please! Then, printing. As I have said many times here: please, please, please print your work. You will avoid losing it. It will look better, and you will feel much better about your skills and your art. Made into wall art your work will be much more valuable. For prints up to 13×19″ use a Canon Picma Pro or 9500 Mark II. For larger prints, use Fotobox on the Queensway in Etobicoke. These guys and what they do are amazing. Al my large metallic prints are theirs. Top work for a very affordable price. Again, tell them I sent you. Then, shopping! I recommend you buy here: Henry’s in Oakville (ask for Rob, manager) or Vistek, in Mississauga or Toronto. Go to these guys every time over the big box stores, and tell them I sent you. They will take care of you with great selections, the latest stuff, and excellent product and market knowledge. They will sell you only what you need, not what gives them most commission. They’re like me: they want customers, not sales. 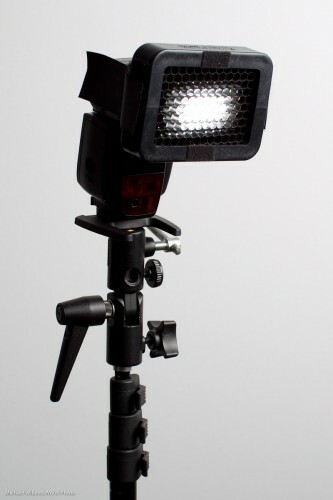 Finally, flash modifiers. Honl, honl, and Honl again. I have waxed lyrical over these small flash modifiers forever: not because David Honl is a friend of mine, but because his modifiers are small, light, sturdy and affordable, and that is an unbeatable combination for a photojournalist and for anyone else except masochists who like to carry more and pay more. Dave has joined me in teaching flash in Phoenix, Las Vegas, and Toronto, and he has agreed to put together special kits and to give you a 10% discount on any order if you, as a reader of speedlighter.ca and/or one of my students, order direct from him by using this link (click here) (or simply click on the Honl Photo ad on this page), and use discount code willems. 10% off on gear that is already affordable and that is the key to unlocking small flash success: what’s not to like? I strongly recommend this. There’s the grid, pictured here; the gels; the unique gell rollups; the speed snoot, the reflectors, the small softboxes: with these tools, small flashes effortlessly and quickly become flexible creative tools. I have a carrying case full of them, and you’ve seen my work: need I say more? Even in my studio I often use small flashes now, rather than strobes. The hair light is always a small flash with a speed snoot, for instance. End note: I only make recommendations I strongly believe in; “for these, I would put my hand into the fire”, as the Dutch would say. The vendors and tools I recommend will help you become a better photographer, or will help you get more out of your work. Promise.